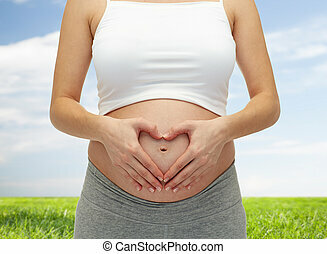 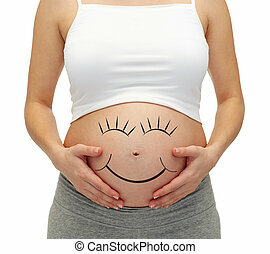 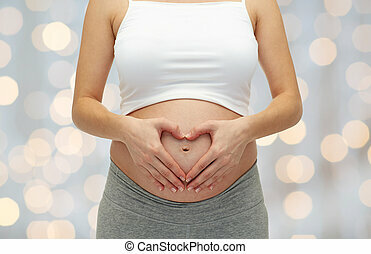 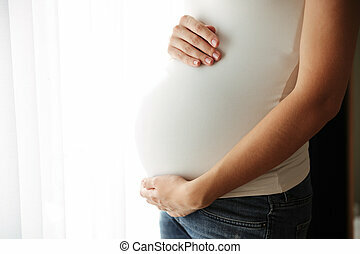 Pregnancy, motherhood, people and expectation concept - close up of pregnant woman touching her bare tummy. 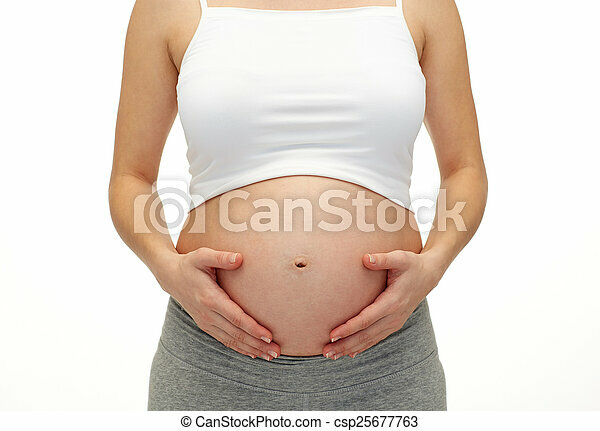 Future mother gently touch her big belly. 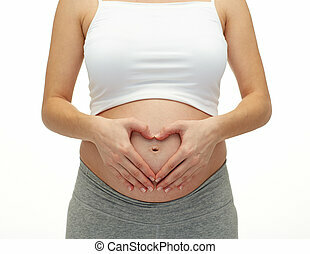 Close-up tummy of pregnant woman.